One million Vietnamese dongs (which is equal to about 44 USD) for 30 users is the monthly fee for basic plan of GetFly — Vietnamese CRM software for SMEs made from a scratch by team of local senior professionals with experience in software development and deployment of ERP and CRM systems in Japan, Korea and Vietnam. GetFly offers tailored solutions for any kind of business in Vietnam where owners understand the value of loyal customers. Mr.Tuong, co-founder and Sales Director, which I met on WeCreate — mentorship program for female entrepreneurs in Vietnam, kindly shared current status and future strategy of GetFly. 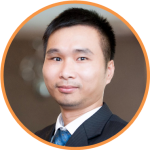 – Mr. Tuong, I wonder why did you decide to compete on global market of CRM solutions? The most important thing in competition is to find your own niche. There are plenty of global players in corporate sector of Vietnam which offer complex and expensive ERP solutions such as SAP, and local players which mostly focus on accounting management software like Misa. We have created cheap, simple, easy-to-use software with user-friendly interface and such features important for any CRM like lead control, sales track and sales team performance management, automatic reporting of sales and leads generation, SMS and email marketing as well as social networking option similar to Facebook At Work. The SMEs’ segment in Vietnam is about 300,000 of companies, majority of which manage their clientèle in MS Excel tables in the best scenario. So this market has great potential for us. – So what is an advantage of GetFly CRM? Low costs and customer service — are the points where global players can’t beat us at (For comparison: SalesForce’s Starter package costs 25$ per user — A.Z.). And indeed we are educating local market as not so many companies in Vietnam understand the importance of lead generation and can build sales funnel. Most of entrepreneurs, owners of SMEs, are former mid-level employees with small or even no prior experience in management which decided to launch their own business. We organize free workshops for them about customer management and lead generation teaching people how to convert leads into paying customers. That also allows us to build trust crucial for any long-term partnerships in B2B software industry, especially here in Asia. – What industries are your customers from? From different industries, there is no one which prevails. Mostly those who have at least small yet their own marketing and sales team, as these people are main users of CRM. So our basic plan is oriented on companies with team of less than 30 people. In some industries like life insurance or real estate where companies usually have got big database of leads or clients, companies just hire agents based on commission fee only — without basic salary and office, any software and proper training. Some agents keep their records just on paper. So it takes some time and additional efforts to “grow” market. – How about plans of GetFly CRM in future? Within last year we have exceeded our own business growth estimation — we have got 300 clients in Hanoi instead of 100–150 planned a year ago. Now we are expanding to the south, Ho Chi Minh City, and next couple of years we will focus on Vietnam market. Although in our minds we keep plans to expand to Korea and Japan due to our own working experience on these markets and network. Right now we have 2 foreign corporate clients — Chinese companies for which we have made local version in Chinese language. Providing customer support for them let us get real experience of serving international clients which would help us later in our global growth. – Do you intent to call for investors to support your growth? Well, recently we have reached break-even point and now we re-invest our revenue into growth. However getting angel investments of at least 500K USD would significantly help us to boost not only our countrywide expansion but also international one. 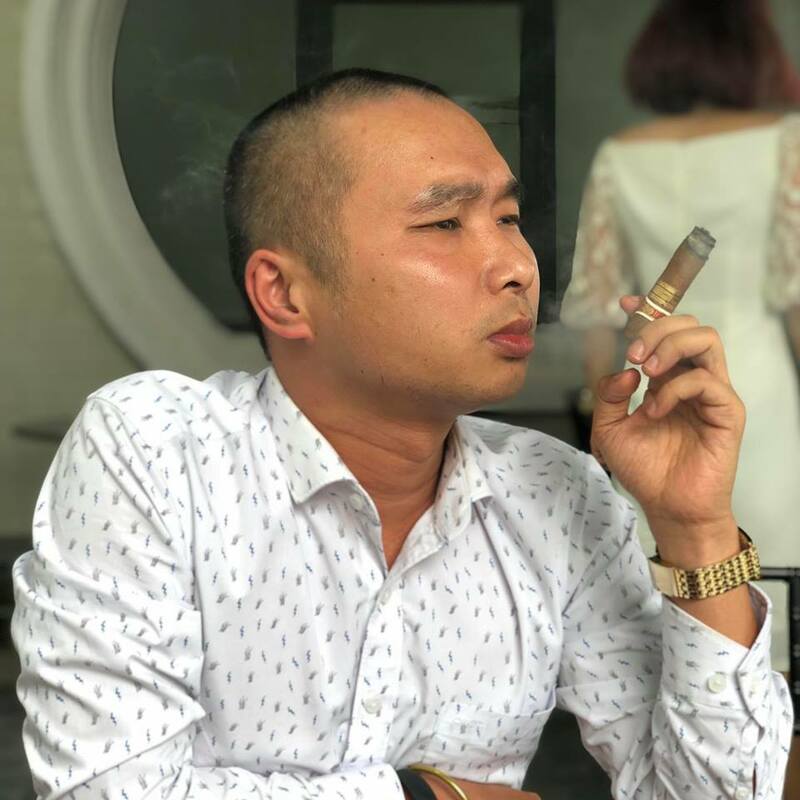 The brief about Mr. Nguyen Manh Tuong: Msc in IT from South Korea and MBA from HELP University of Malaysia, has long professional background in insurance (AIA), brokerage (MB Bank) and IT projects management.